Anna was raised in Haysi, Virginia; a small town where coalfields are prominent and nature abounds. She completed her undergraduate studies at Bluefield College and Southwest Virginia Community College. While studying at Bluefield, she majored in Chemistry and started as the first baseman/pitcher for the Lady Rams Softball team. 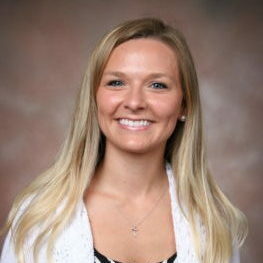 During this time, she worked on campus as the Assistant to Registrar and became a sister to the Alpha Delta sorority. After attending Bluefield, Anna decided to complete her pre-requisite coursework at Southwest Virginia Community College and earned an Associates of Arts and Sciences degree. While attending Southwest Virginia Community College, Anna married her high school sweet heart Shawn Douglas Lyall. Upon graduating, Anna completed her doctorate degree at the Appalachian College of Pharmacy in Grundy, Virginia. She served as the President of the Fellowship of Christian Pharmacists, and worked at Food City Pharmacy in Claypool Hill, Virginia. In April of 2018, Anna matched with the Appalachian College of Pharmacy for a PGY-1 Residency. Her plans for PGY-1 residency are to immerse herself in the complete aspects of patient care such as medication therapy management, medication safety, and patient understanding. She plans to focus on areas of mental health, wellness, and cognition. Anna will be working as an Assistant Professor of Pharmacy Practice at the Appalachian College of Pharmacy and practicing at Cavalier Pharmacy in Wise, VA.
Anna and Shawn purchased a home in Abingdon, Virginia where they plan to raise a family. She and her husband love to spend their spare time snowboarding, being outdoors, playing on the lake, and fishing. They attend Highlands Fellowship Church for Sunday worship.